The next two days, I’m going to cover the Disney Deluxe and Deluxe Villa resorts. All of these resorts are on the smaller side compared to the Moderate and Value resorts, however, the standard rooms are larger and all the resorts have Villa accommodations as well, or in the process of building them, except for Yacht Club. These Villa accommodations come in four different sizes: studio, one-bedroom, two-bedroom, and three-bedroom grand villas. But those are for tomorrow, today, we’ll just focus on the standard rooms at these resorts. Yes, there are rooms where guests can see the safari animals from the balcony of their room. These safaris/savannas are separate from the Kilmanjaro Safari experience in the Animal Kingdom Park. 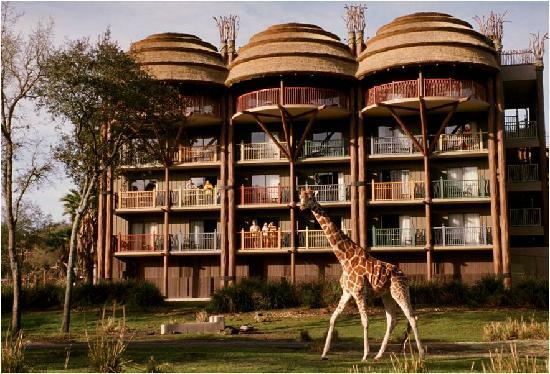 Animal Kingdom Lodge is the largest, in terms of rooms, of the deluxe resorts with 1,307 rooms. 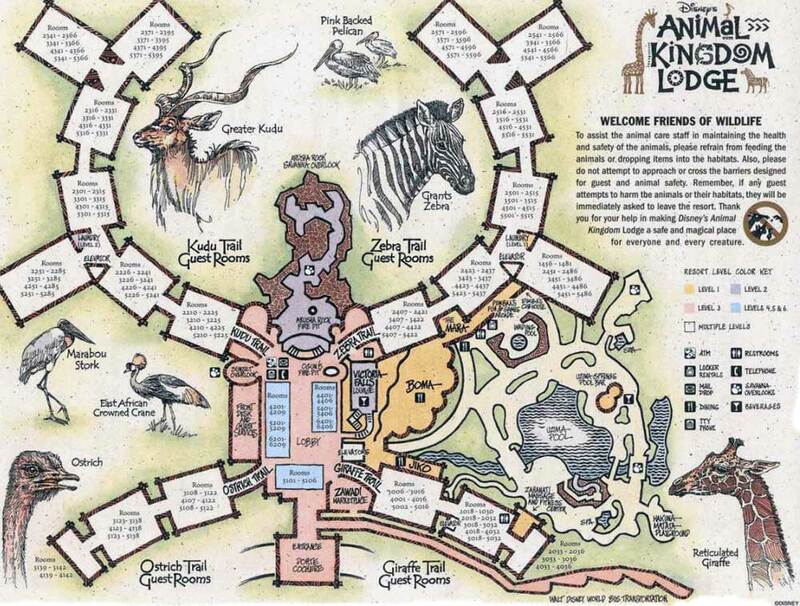 All of the Animal Kingdom Lodge rooms are located in the Jambo House. The front desk and check-in is located in the central main hall with four trails splitting off from this hall. There are four trails where the rooms are located: Ostrich Trail, Giraffe Trail, Kudu Trail, and Zebra Trail. Each of these trails, except for Giraffe Trail, has a view of, at least, one savanna. The Giraffe Trail has a view of the pool. What if my room doesn’t have a view of a savanna? There are only 135 rooms (10.3%) which do not have a view of a savanna or pool. For these guests, there are still plenty of opportunities to see the animals. Each savanna has a variety of viewing location and Cast Members will leave around the savanna so the animals move around. Sunrise Breakfast Adventure: available on Sundays and Thursdays. The adventure departs at 7:30 am and involves a 45-minute ride through the Kilimanjaro Safari Experience where the guides will stop and guests are allowed to stand and take picture. This ride is about three times as long as the standard experience on the Safari. 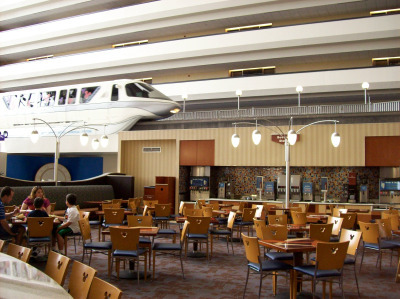 After the tour, guests go to Pizzafari for a breakfast buffet.